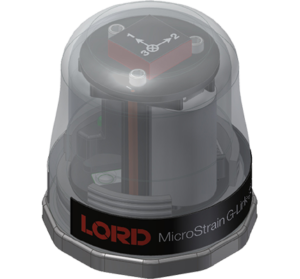 LORD MicroStrain offer wireless nodes with a selection of options using both internal sensors and also nodes with the ability to use third party sensors’ inputs. These are used in conjunction with their base stations for input into a computer. For details of the wireless systems for use with other sensors please look at the Wireless Systems range. The wireless system from LORD MicroStrain offers a selection of nodes for multiple sensing applications. The combination of nodes offering in-built sensors such as the triaxial G-Link-200 can be combined with multi-channel input nodes such as the V-Link-200 for integration with third party sensors including strain gauge channels and voltage input channels. Choose from a wide variety of sensing and sampling parameters including time-synchronized sampling, high-speed periodic burst sampling, low duty cycle sampling, and datalogging.